This project really got us in the mood for summer. 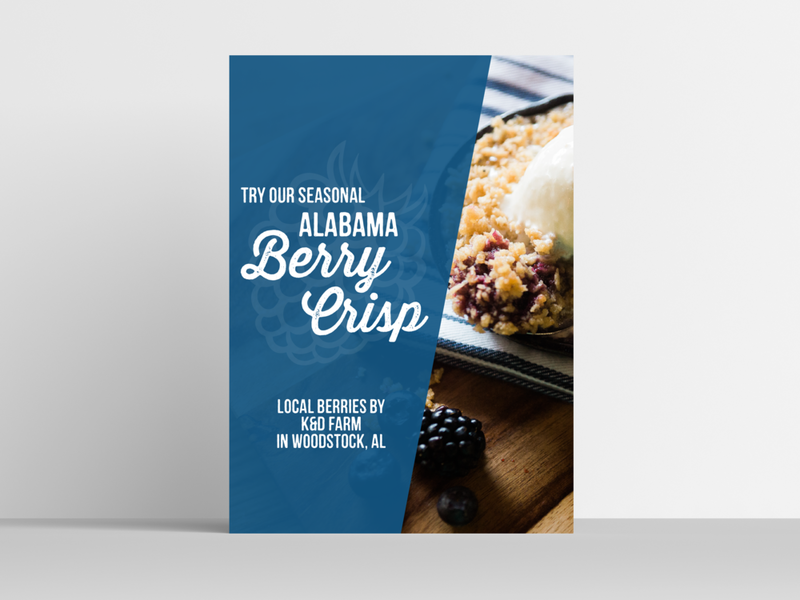 AMD was responsible for designing the graphics for the fruit crisps campaign at Urban Cookhouse. Not only did we design the taglines on the graphics, but we also created the TV graphics, a pop up head cut out, and print graphics for advertising. We also created this 4x6 ft. cut out that was stationed outside of each location that was meant for people to take a photo and share it on social media. The cut outs were hand drawn of a peach and blackberry. This was so fun seeing as we got to personify the fruit crisps into life-sized fruit. We may be a little biased, but the food on these illustrations really makes us want to eat some fruit crisps. How about you? AMD also creates all of the graphics you see inside of Urban Cookhouse at the Summit, Downtown Birmingham, Homewood, and Tuscaloosa locations. 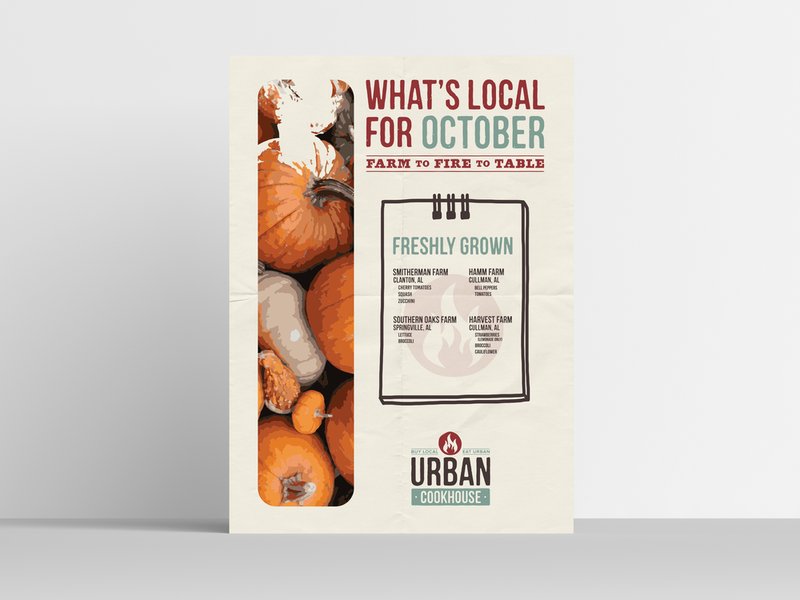 Here are the “What’s Local” and new menus for them as well as a featured table top graphic we made for their trade shows.